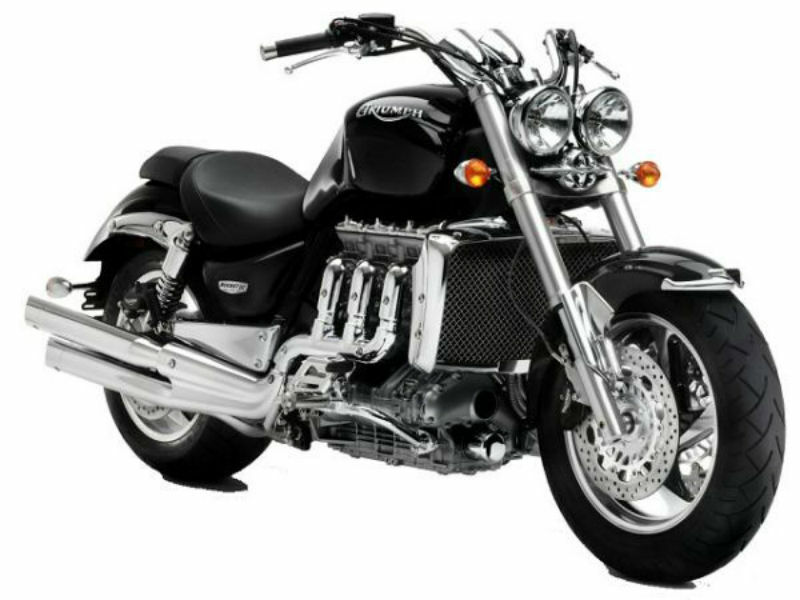 Triumph Rocket III is an attractive motorcycle with exclusive character and charm. The well tuned, fashionable structure of the body with curves and bends serves as the means of aerodynamics thereby providing good performance and greater safety. The well positioned handle bars, seat and foot rest are other noted factors which make the rider drive comfortably. Further the technology used by the bike is good enough to carry the ergonomics proudly. 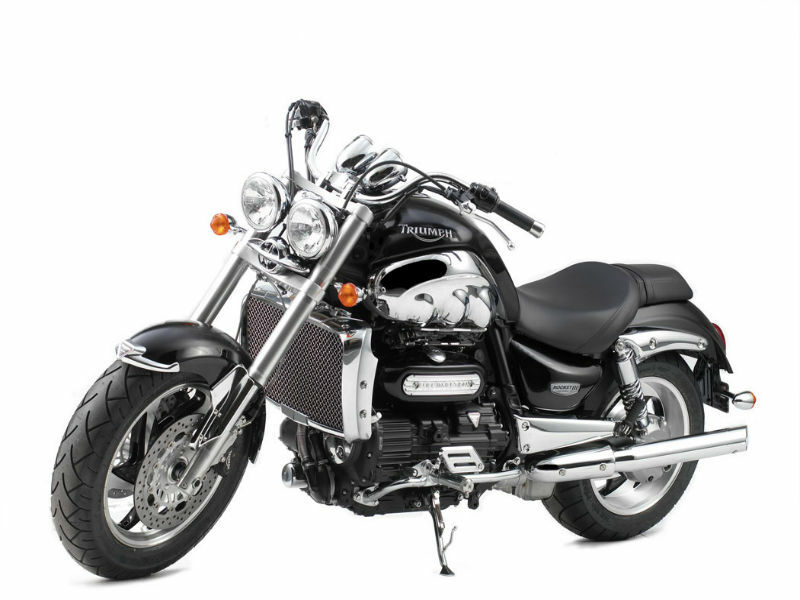 When it comes to performance, Triumph Rocket III is a power packed vehicle and for this thanks to its efficient liquid cooled, DOHC, in-line 3 cylinder, 2294 cc engine. The maximum power generated from this is about 109 kW at 5750rpm and the highest torque achieved is 221 Nm at 2750rpm. The power so delivered reaches its wheels through 5 speed gearbox. 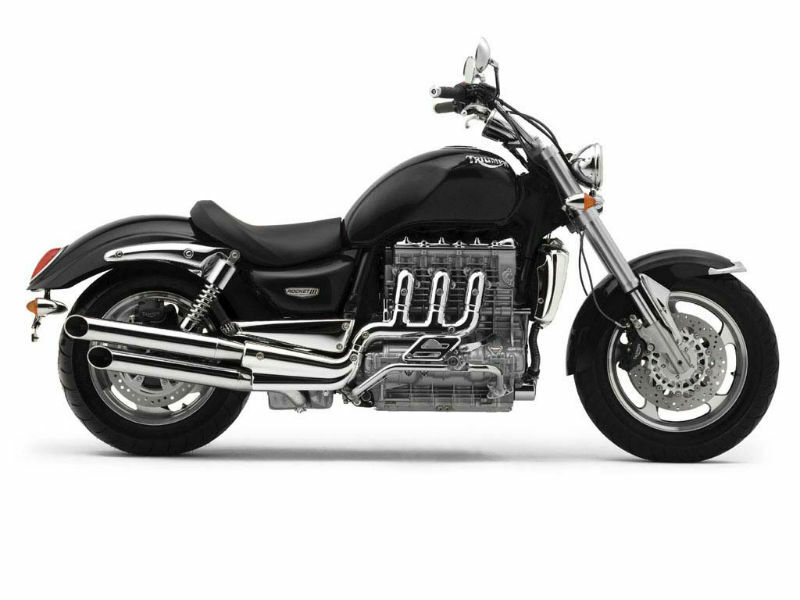 The very appearance of Triumph Rocket III makes every person go mad about. The broader, tough, rigid and macho looks of the two wheeler is so magnetic that even the one who don't know anything about the bike can't stop praising it. The naked engine parts, fancy design of the exhaust pipe, trendy headlamp and comfortable seat create an incredible impression on buyer. The uniquely designed Triumph Rocket 111 assures a thrilling experience to every rider and for this thanks to its well structured rigid body and quality chassis. The Kayaba suspension used for the motorbike is good enough to provide smooth ride. Further the disc brakes used guarantee complete control of vehicle and promise more safety. The bike gives the mileage of about 16 kmpl in city limits and in highways it assures 22 kmpl however this limit depends on road condition. This charismatic vehicle is available in two different variants namely Triumph Rocket III Roadster and Triumph Rocket III Touring. The ex-showroom price of them is about Rs. 22,00,000 and Rs. 24,00,000 respectively.